How Can I Run Barefoot When I Have Plantar Fasciitis, Limbic Difference, Flat Feet, Scoliosis And Pain? - Team Doctors Blog | Athlete for Life! How Can I Run Barefoot When I Have Plantar Fasciitis, Limbic Difference, Flat Feet, Scoliosis And Pain? First, structurally, I have a severe case of scoliosis that was fused when I was 12. I have a limbic difference and I didn’t know until my feet started hurting but I also apparently, have flat feet. For these reasons the 3 podiatrists and a PT that I have seen have told me there is no possibility of my becoming barefoot (BF). My husband and I have tried to find a doctor/pt in our area open to BF with absolutely no luck. About 5 years ago after the birth of my first child my feet started hurting. That’s when the supportive shoes and semi-custom inserts began. About 5 months ago, since my feet hurt even with the shoes and SOLE inserts, I threw up my hands in frustration and tried BF. The result was incredible pain in my heels, in addition to the pain in my arches and knees and occasional pain in my ankles and hips. Finally, I went to a podiatrist. His suggestion was HOKA shoes, custom orthotics and either prolotherapy or steroid shots and lots of rolling my feet on tennis balls. I got the HOKA’s kept my SOLE inserts and did do one round of prescription methylpredisolone. He also prescribed PT, which I began last week. He is using the ASTYM system My question is should I give up on BF, minimal and anything even close? I think it is safe to say that HOKA shoes are the antithesis of BF but my heel pain is gone (all other pain remains). Are there specific therapies I can ask the therapist to try to help me transition to lesser shoes? I am not only open to BF, I really want to do it but I just cannot seem to get there. Also, I should say that because of the pain I am pretty out of shape. I was just mostly trying to walk BF. I did try a jog or two in September but the heel pain was too much. The Main Confusion You Are Having Is A Misunderstanding Of Human Engineering. Please Let Me Clear This Up For You So You Can Get Back On Track And Reclaim The Ability Of Barefoot Running As You Did In Your Youth. The first thing we have to understand is that running involves the collisions of two objects, the human body and the earth. When they collide abnormally, there will be damage to both parts. According to the American Podiatry Association we take 10,000 steps or we have 10,000 collisions with the earth per day on average. If you multiply 10,000 x 365 it equals 3,650,000 collisions per year, which adds up to about 100 million collisions with the ground in a 30 year period. Even subtle abnormal mechanics in the human body can cause a great deal of damage with that many impacts. How Can The Body Allow Us To Take So Many Impacts Without Causing Damage? The body is built with an elaborate spring mechanism to protect us from those impacts. This spring mechanism is consistent of 33 joints within 26 bones of the human foot, the joints of the ankle, knee, hip and 26 discs in our spine as well as muscles, tendons and ligaments that suspend this spring suspension system. Before I get into the structure of this elaborate spring mechanism, I want to go over with you what kind of forces are used in the collisions that are represented during various activities of daily life. When you are standing, walking, running, lifting or doing any type of sport or leisure activity with movement or exertion on the weight bearing joints, there will be external forces on these joints. When the brain feels repetitive abnormal loading of the human spring mechanism, the brain sets up a protective mechanism which is a muscle spasm and in this case the muscle spasms developed from the foot through the ankles and calves into the thighs and hips up to the head. To think anything differently defies the laws of nature, engineering, physics and common sense. The human body is an integrated spring mechanism so that any abnormal movements within the foundation will affect the entire structure from the flooring system to the head. Anytime you have a spasm in the linkage system of this spring, it reduces the capacity of the spring to load the forces back into the spring. That’s because the spring mechanism is already pre-loaded with a certain amount of force, which unfortunately we cannot measure at this time. Sometimes we don’t even have pain or know we have spasms as the inflammation that develops does not become concentrated enough for our brain to get detected. However when we load forces into the mechanism such as lifting a couch, lifting a baby, walking fast or running with or without shoes, these impact forces or lifting forces will exceed the maximum capacity of the spring mechanism to load the force into the mechanism and damage occurs, i.e. herniated disc, meniscus tear or plantar fasciitis,pain etc. Pregnancy Or Weight Gain – You had excessive external forces on your spring suspension system for 6-9 months when you were pregnant. This most likely contributed to the breaking down of your spring suspension system turning your spring and roll walk, into a bang and twist walk. The question is, Have you reversed the stiffness, locking and internal forces in the spring that were left over from your pregnancy? Also since you had fusion of your spine, you lost all ability to absorb these impact forces into this entire floor. I don’t know if you were going to have pressure on your internal organs then why was the surgery required for your scoliosis? I hope it was not for aesthetic purposes. I won’t get into that because what is done has been done. Any time you are walking or standing with abnormal movement patterns or joint positioning your brain will note that these forces are impacting the human spring mechanism not according to the way it was designed to load. Think of pushing a spring down from an angle. For instance if I told you to walk like a duck with your feet at a 45° angle for five days in a row by the end of that short period of time you would start to feel aches and pains and perhaps even develop a condition such as plantar fasciitis, knee, hip or back pain. Because your spring mechanism is preloaded with force you cannot recycle as much energy into the spring mechanisms tendons which are more efficient than muscles contracting. That means you will have chronic fatigue from walking abnormal for five days. Elastic Deformity – When the spring mechanism is working correctly it goes through what we call elastic deformity upon impact. The word deformity means a change in the shape of the human body. So when you walk or run your body’s spring mechanism deforms its physical shape just like when you press down 0n the spring. It loads energy into this the formation of the shape of the body. Then it releases the foot from the ground returning back to its exact original shape. The word exact is very important. Plastic Deformity – If you don’t land with the mass exactly in the center point of the spring, then the incorrect impacts over time build and after 3 months, 6 months and 12 months it forms the spring and it will not return to its exact original shape. This turns into a permanent deformity which could be a herniated disc, a bunion or some kind of abnormal shape of the foot arthritis etc. This doesn’t allow the body to function as well as it did to absorb the impact and will not recycle the energy through the spring mechanism as well. This is what we call aging. All human spring mechanisms age somewhat. Permanent deformities of the human spring cause more rapid aging of the human spring than without deformities. If you weigh 120 pounds, standing with equal pressure on both feet represents 60 pounds of force on each foot. Simple walking represents shifting the 120 pounds of mass from 1 foot to the other with a certain degree of speed. You can determine the amount of force of impact on your foot during walking by doing the following equation- FORCE OF THE LANDING = MASS (your weight) x ACCELERATION (speed of walking). Science has found, walking represents about 1.25 times your body weight or approximately 150 pounds for a 120 pounds person. Scientists have found that the impact forces during running could be between 3-5 times your body weight. Approximately 360- 600 pounds of impact force on your feet during running. The 33 joints of the feet, which should all be moving freely to be able to absorb the impact across all 33 joints to allow for a smoother landing. The foot that is that is suspended from above by muscles and tendons that have a strategic attachment on the under surface of your arch as the insertion and the origin is underneath your Muscles attach to the back of your shin bones. I would recommend you do a Google image search for the tibialis posterior, tibialis anterior and peroneal muscles. This will give you a better idea of the way these muscles attach on the joints of your arch. There are many other muscles that attach on the foot that are allowing your foot and lower extremities to absorb this impact force. The first step to your recovery is to release the abnormal internal forces on your spring mechanism. This will allow you to absorb the force of the landings across as many movable joints as possible for a smooth landing. From what I can tell from your therapy you call the ASTYM system is that you are actually getting some deep tissue release of these internal forces on your joints. I have treated thousands of patients with these spasm patterns in their kinematic chain or up to the flooring system. What I have found with my clinical studies is that patients who have many years of abnormal movement patterns have developed muscle spasm patterns that are stored in the brain as reflex patterns. This can sometimes take 8 to 10 hours of constant deep tissue work to reverse. To get to a doctor or therapist to do this hard work is the first hurdle because it is hard work. The next problem is that most insurance companies only pay for a 15 minute procedure of this therapy. What you have is a difference in what is required to remove every single spasm from this spring mechanism and all internal forces from the spring mechanism and what the doctor is willing to do or what your insurance is willing to pay. For instance, Chicago Blue Cross Blue Shield only pays for one 15 minute increment of this work. I don’t watch the clock and usually the first treatment of both limbs take at least an hour if not more moving inch by inch through the kinematic chain releasing each and every single spasm. Why Do You Have To Treat Every Single Spasm From The Mechanism? What you are attempting to do is to perform an activity that requires your spring mechanism to absorb 362- 600 pounds of impact force. You really need to have your spring mechanism completely released in order for you to do that. Footwear companies give you wishful thinking. You end up buying an insert and looking at the foot as a solid structure. Wearing these inserts for hours a day is contributing to the locking up of the spring. This also takes away the natural spring that your body has to protect you from these impacts. They give you an artificial spring, which is a piece of rubber at the bottom of your foot to make up for the natural spring that you had in the first place. You’re also led to believe into thinking that you have to wear shoes to be able to run. Most runners, who run with shoes, really don’t know how strong their spring mechanism is until they take the artificial spring mechanism off of their feet. Fortunately for me I never wore shoes during running. I was smart enough to start barefoot running early on in my life, therefore I did not develop any abnormal movement patterns. I did not run with artificial spring mechanisms attached to my feet that would change my natural running pattern. Unfortunately you have had artificial spring mechanisms attached your feet. The shoes and you have an artificial support mechanism to make up for the lack of muscle strength in your feet. Orthotics have been inserted into your mechanism. You are weakened from these shims, girdles and supports. What Is The First Sign Of Aging? When You Say You Used To Be Able To Do This Or That. If you can run barefoot as a child but you cannot run barefoot now, the first sign of aging is the inability to run barefoot. The medical model continually gives you more supports in the shoe instead of restoring you back to the way you used to be as a child. What we should try to do is to restore you back to the way you were as a child by removing the supports and the artificial springs and go through a strengthening process by strengthening your natural human spring mechanism so that it can work the way it used to. Your Doctors’ Are Not Very encouraging And Don’t Seem To Have Faith In Your Ability To Achieve Goals. When the doctors tell you that you can’t run barefoot, they don’t give you much hope do they? They are not really encouraging you to shoot for any substantial goals in your life by telling you that you can’t do something. People Can Overcome Incredible Obstacles And Challenges In Their Life If They Have An Action Plan And Put Some Effort Behind It. From what I can see, you seem to be very dedicated and excited about being able to run barefoot again like you did as a child. Why don’t you just keep working on that. Let’s see if we can get you there and stop listening to people who tell you you can’t do things. Perform A self-evaluation Of Your Spring Mechanism With Different Forces Or Loads To See Where You Stand. The way I evaluate to see what strength capacity my patient has to absorb forces is with a simple standing analysis and a walking and running gait analysis. Can Your Spring Mechanism Absorb or Maintain Healthy Alignment Of Your Limbs With The Forces Of Standing? The first thing I do is have the patient stand with equal weight on both feet. Then I look to see if the ankle and shin bone are directly over the top of the foot and second toe. While standing in front of a mirror, look at your own foot posture in relationship to your ankle and shin bone. While facing the mirror, fall forward, then you can best determine whether or not your suspension system muscles of your feet are capable of holding up your body weight. If you see a buckling or a weak ankle (over pronation) appearance on one side or on both sides, then you will know that the suspension muscles aren’t even capable of holding up half of your body weight. That means if you weigh 120 pounds your suspension system muscles can’t even hold up 60 pounds of force. So if you think logically like any engineer or physicist, attempting to run which demands your suspension system muscles being able to withstand impacts of 360 to 600 pounds of impact is impossible without causing damage to the structures. You may not have enough strength in the suspension system to protect you from the impacts. So yes, the doctors are correct that you have no business running barefoot and in fact you have no business running with shoes on either. You said, during the time you were pregnant, you had foot pain. Pregnancy does a lot on the human spring mechanism suspension system because you’re going to put on an extra 40 pounds of weight on your body. That means that while walking there is around 50 pounds of increased weight and running is close to 160- 200 pounds of increased weight for your spring mechanism but you weren’t training with this force so it didn’t have enough time to adapt to this rapid weight gain. ‘The Running To Lose Weight Plan’ , Was Sabotaged When The Weight Gain Overloaded The Spring Mechanisms’ Ability To Allow You To Run Protected By An Intact Balanced Spring. This is an example of someone who sits all winter and puts on and extra 20 pounds. Then decides that they’re going to use running as a method of losing the weight wondering why they pull out after the first run with one or more painful condition throughout the flooring system of the body. The engineering does not balance out. They lost strength in their suspension system muscles of their spring mechanism by sitting all winter and at the same time they packed on 20 pounds which put on extra requirements of strength to their spring suspension system to the 80 to 100 pounds. They could not handle this extra force of impact because they didn’t do any training over the winter which would have increased the strength to balance out the extra impact force from the extra weight gain. This is a logical misunderstanding of human mechanics. It defies the laws of nature, engineering, physics, common sense and the universe. Before you do any strength training, walking, jogging or impact training my stern recommendation is to you give your foot a hand and do the exact deep tissue work that those highly trained practitioners are doing on your feet, ankles and legs and up. I will also give you some extra ones that they may or may not be doing for you. Feel free to introduce these techniques to those highly trained practitioners as well. I can tell you that after 30 minutes of deep tissue work that I perform on myself and remember, I do deep tissue work for 12 to 16 hours a day on patients feet, even I noticed the first mile of my barefoot run is a little less than a smooth ride. I force myself to do zigzag patterns for the first mile to loosen up my feet and I continue to do zigzag patterns of 4 feet wide for the entire 5 to 10 miles training while running to ensure I get full development of my spring suspension system muscles on both sides of the feet. Strengthening The Human Spring Mechanism – you have to start from the beginning by strengthening the suspension muscles. Attaching a velcro cuff to your foot and move the foot by doing inversion, eversion, abduction and adduction to strengthen the support mechanism of your feet. There are other exercises you can do at any health club that can strengthen your feet such as balance on a bosu ball, walk in zigzag patterns, walk in 8 foot circle patterns and carioca. You can then move into light impacts such as jumping jacks, light jogging in zigzag patterns in circular patterns, all performed barefoot. 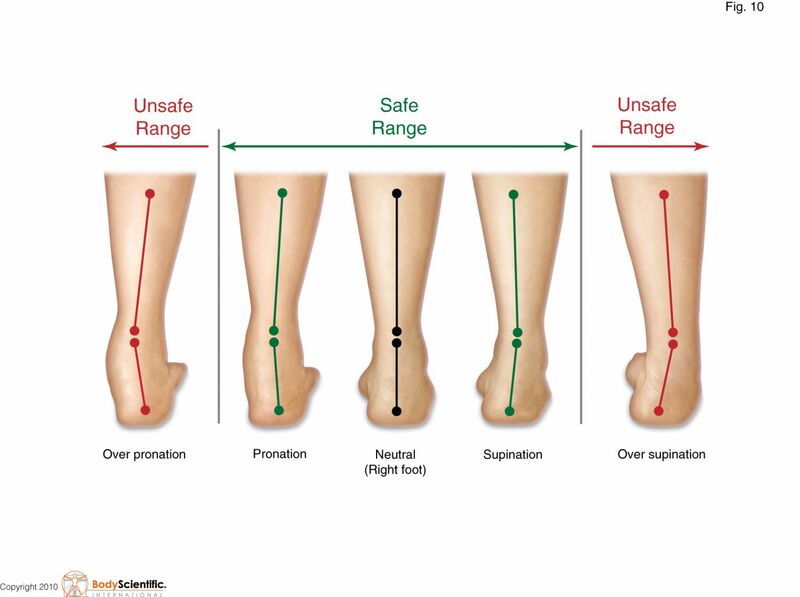 Strengthening The Human Spring Mechanism After you have strengthened your feet with resistance exercises than you can begin to introduce light impacts to your feet. Light impacts are rare for walking, barefoot jogging, barefoot running and even barefoot jumping or plyometrics. People think that jumping barefoot causes too much impact on the joints however, running is a series of jumps, jumping from 1 foot to another. I don’t want hear anyone tell me that jumping barefoot is too much impact on the body. It’s only too much if you can’t do it. It all depends on the person. 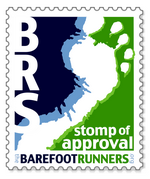 Without even really knowing your particular case, I have a feeling you have a lot of work on your hands to get your body de-aged to have a released spring that is strong enough to absorb the impact forces of barefoot running. You are going to have to be the judge of what forces your joints can take at this time through your own self-analysis. The final test is to stand behind a SUV with a friend inside the back with a camera pointing at your bare feet filming your feet as you run behind the truck. Take the footage back to the house and watch how your feet take handle the impacts. Look and see if your ankles and feet are in alignment or not. You are going to have to take charge of your own therapy and the process of strengthening your human spring mechanism and to be able to withstand greater forces and so that you can in fact handle the forces of running barefoot like you used to do as a child. As kids we go from barefoot to wearing shoes, then as we weaken and damage the spring we get an orthopedic appliance like an arch support and we know what damage they can do. Then it’s on to an orthopedic shoe, a cane, a walker and finally, we’re bedridden. Few if any of the people using a cane to walk today would have thought back in their 30s or 40s that they would end up using a cane. Unfortunately that’s the journey traditional care takes us on. By providing ‘supports’ instead of rehabilitating the spring. This process robs us of the positive adaptation needed to make us stronger. We have all seen family and friends succumb to this. In retrospect, I was well along that barefoot to bedridden path before I decided to begin intervention. The problem is you want to go from shoes with artificial springs and inserts to removing the artificial spring, a locked human spring with spasms and joints that are stiff to attempt to absorb 360-600 pounds of impact into those locked weakened spring suspension system muscles. You Do This One Step At A Time. You Can’t Walk Into A Weight Room Thinking The 100 Pound Dumbells Are The Coolest Ones And Start Lifting Them. I’m sure you can locate yourself somewhere along the barefoot to bedridden track and start backwards to reclaim your youth again. “I did it at 48 years old, after not running for 10 years and standing on my feet 12 – 16 hours a day, sometimes 100 – 135 days in a row. The reason why they tell you that you can’t is because they don’t know how to coach you to get there. They also don’t have the skill set or time to do what it takes to make it happen. by Anthony Field (Wiggles) and Greg Truman, Anthony Field discusses how the Human Spring Approach™ reversed his destiny from years of severe chronic pain, chronic fatigue, fibromyalgia, depression and a reliance on pain medications to barefoot running allowing him to reclaim his youth again. 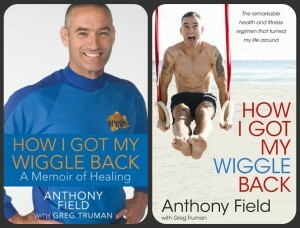 Anthony went through this same process I recommended above and he got rid of the pain. He did the spring strengthening and supercharging training which helped him to get back to running and even performing on stage barefoot again. Nice article. I do a monthly newsletter for my patients and this month is about the benefits of walking. May I use your illustration in our publication?